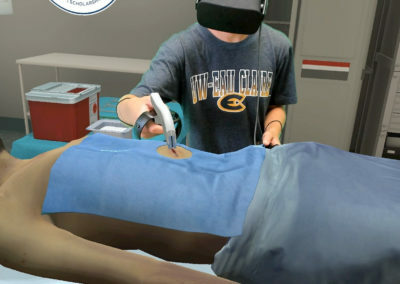 With the new VR application we developed for Envision, students can become immersed in a medical environment, working together collaboratively to clean a laceration, inject lidocain, staple the skin, and apply a bandage. For students considering a career in medicine, it can be difficult to imagine the responsibility of caring for a patient and performing a medical procedure as they consider the commitment of time and money pursuing this career. 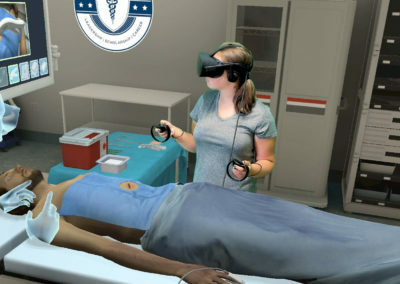 The application was used at the Johns Hopkins University during Envision’s National Youth Leadership Forum: Advanced Medicine & Health Care this summer.